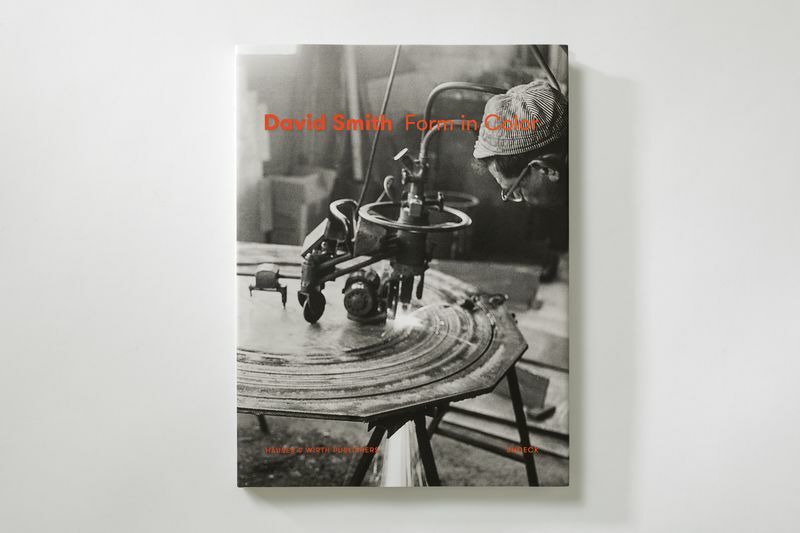 One of the foremost artists of the twentieth century and the sculptor most closely linked to the Abstract Expressionist movement, David Smith is known for his use of industrial methods and materials, and the integration of open space into sculpture. 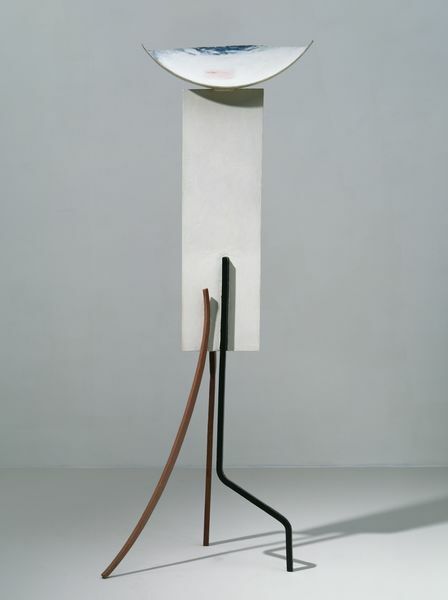 Over a 33-year career, Smith greatly expanded the notion of what sculpture could be, questioning its relationship with the space it was created in and its final habitat; from the artist’s atelier and art foundry into the realms of industry and nature. 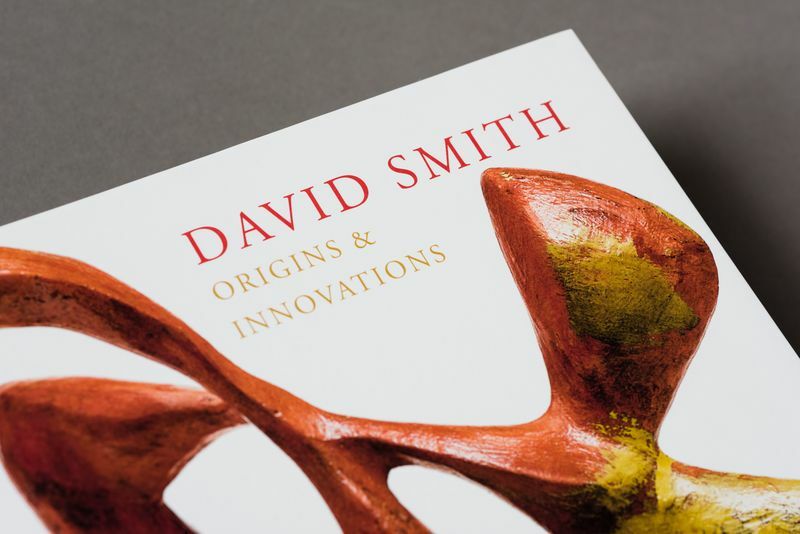 Spanning pure abstraction and poetic figuration, Smith’s deeply humanist vision has inspired generations of sculptors for the decades since his death. 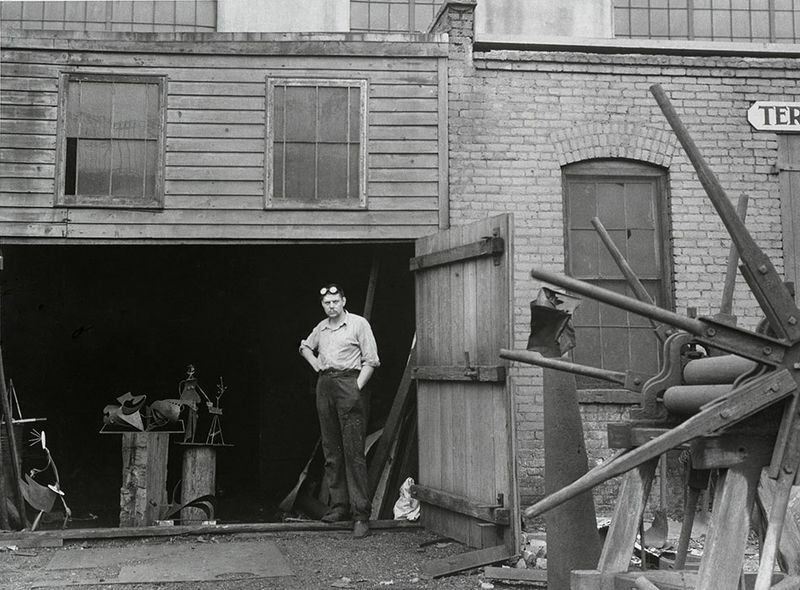 Born in 1906 in Decatur, Indiana, Smith worked as an automobile welder and riveter before moving to New York to study at the Art Students League. In 1929 he bought a farm in Bolton Landing, in the Adirondack Mountains of upstate New York – an idyllic location where he would settle permanently in 1940 and with which he would be forever associated. When Smith died suddenly at the age of 59 in a tragic car accident, he left behind an expansive, complex and powerful body of work that continues to exert inﬂuence upon younger generations of artists today. 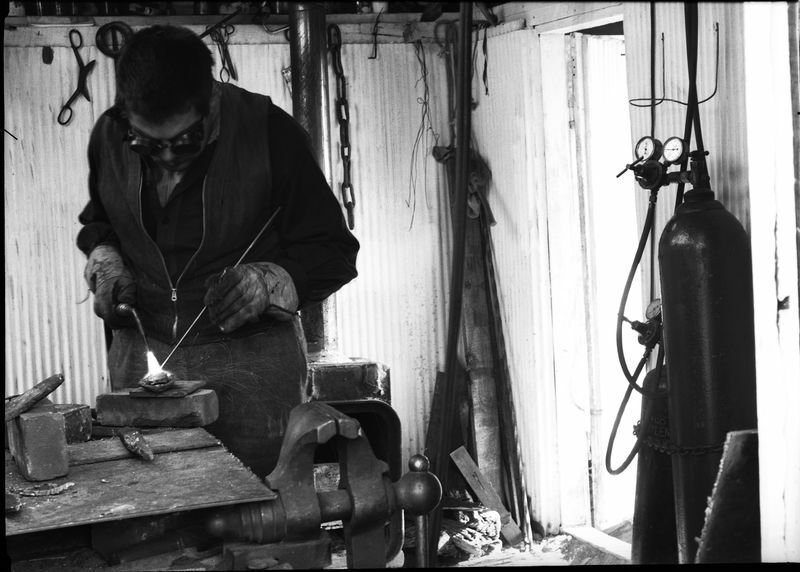 He is widely acknowledged to have created the first welded metal sculpture in America. 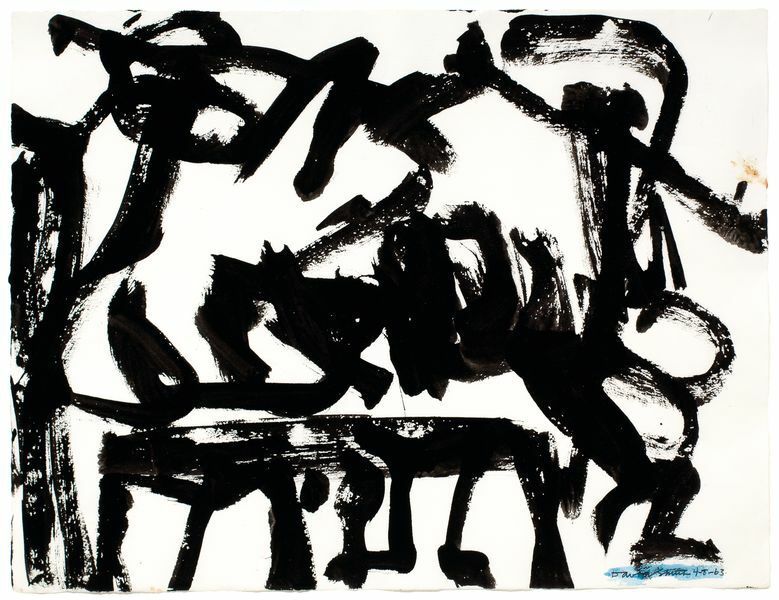 Painting and drawing remained integral to Smith’s creative output throughout his career. ‘Drawings,’ he claimed, ‘are studies for sculpture, sometimes what sculpture is, sometimes what sculpture never can be.’ Around 1958, almost immediately after the invention of the aerosol spray can, Smith began his Sprays. 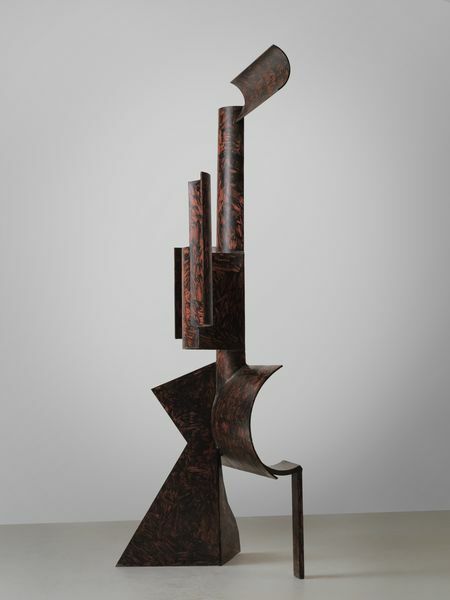 Made simultaneously with some of his most rigorously geometric sculpture, the Sprays are often loosely gestural. Though the Sprays freed Smith’s form from the sculptural constraints of gravity, for Smith the two mediums were conceptually continuous. 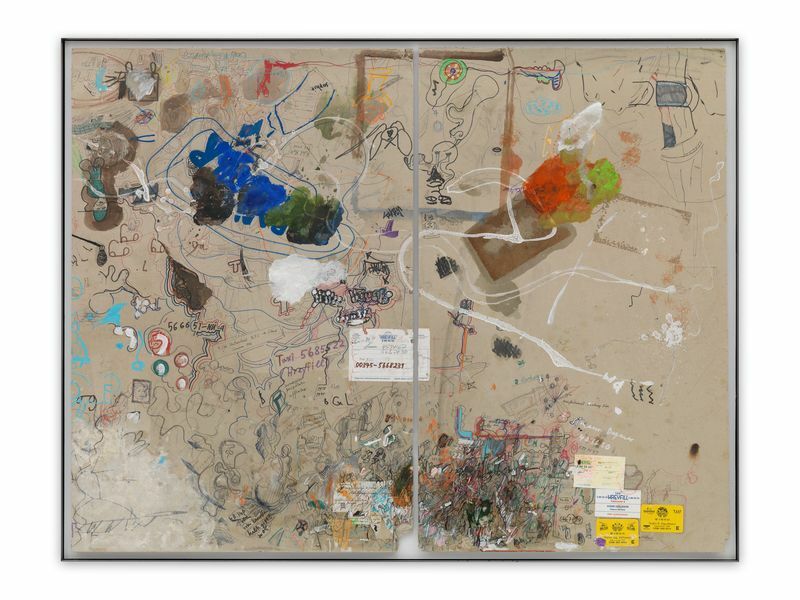 With the Sprays, Smith adopted a medium that was developed from, and perfectly aligned with, his sculptural process, encapsulating the overlap between between his two- and three-dimensional activities. 2018 Dziewior, Yilmaz (ed. ), 'Museum Ludwig. Art. 20th/21st Centuries. Collection. Painting, Sculpture, New Media', Cologne: Verlag der Buchhandlung Walther König, 2018, p. 290, ill.
Peabody, Rebecca (ed. ), ‘Anglo-American Exchange in Postwar Sculpture’, Los Angeles: Getty Museum, 2011, pp. 91-104; p. 100, ill.
1998 Johnson, Geraldine A., ‘Sculpture and Photography. Envisioning the Third Dimension’, Cambridge: Cambridge University Press, 1998, p. 133, ill.
1993 Harris, Jonathan + [et. al], ‘Modernism in Dispute. Art Since the Forties’, New Haven: Yale University Press in assocation with The Open University, London, 1993, p. 178, ill.
1991 Wheeler, Daniel, ‘Art Since Mid-Century. 1945 to the Present’, New York: Vendome Press, 1991, p. 117, ill.
1988 Hall, Michael D., ‘Stereoscopic Perspective. Reflections on American Fine and Folk Art’, Ann Arbor: UMI Research Press, 1988, p. 65, ill.
Krauss, Rosalind E., ‘Passages in Modern Sculpture’, Cambridge: MIT Press, 1981, ill.
1981 Krauss, Rosalind E., ‘Passages in Modern Sculpture’, Cambridge: MIT Press, 1981, ill.
1975 Andersen, Wayne V., ‘American Sculpture in Process. 1930-1970’, Boston: New York Graphic Society, 1975, pp. 19, 20, 22, 25, 32, 52, pp. 20, 22, 52, ill.
1964 Gertz, Ulrich, ‘Plastik der Gegenwart, 3rd edition’, Berlin: Rembrandt-Verlag, 1964, pp. 220-221, ill.
Sandomir, Richard, ‘H. Peter Stern, 90, Co-Founder of Storm King Art Center, Dies’, in: The New York Times, New York, vol. CLXIII, no. 58,150, 15 November 2018, p. A26, ill.
Spence, Rachel, ‘Wild swimming and well-mannered art’, in: The Financial Times, London, 14 June 2017, n. p.
1983 Greenberg, Clement, ‘Le Chant du Forgeron’, in: Connaissance des Arts, vol. 372, Paris, 1983, pp. 56, 60, ill.
1977 Dehner, Dorothy, ‘Medals for Dishonor--The Fifteen Medallions of David Smith’, in: Art Journal, vol. 37, no. 2, New York, 1977, n.p. Brown, Milton W., ‘American Art a Year After Pearl Harbor’, in: Art News, vol. 41, no. 14, New York, 1942, p. 10, ill.
___, ‘Sculpture Show in Village Holds Preview Today’, in: The New York Herald Tribune, New York, 28 April 1941, n.p.